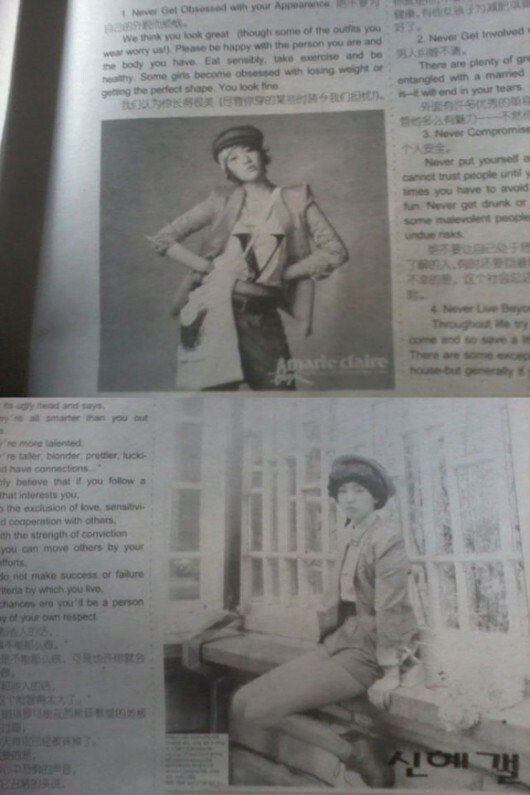 It is found out that a monthly academic newspaper has used actress Park Shin Hye in one of their lessons. The newspaper, named "English Paper", is a popular language 'textbook' used in universities in China to attract students to learn English. As Kpop idols and actors are very popular among Chinese students, the appearance of Park Shin Hye in the 'textbook' further affirms her status as an international Hallyu star. As seen in the two photos above, the photos of Park Shin Hye are actually from her previous magazine photoshoots. Park Shin Hye has recently signed with Japanese agency IMX and is preparing for her full fledged activities in Japan.